Arrow Pipes & Fittings FZCO was established in 2002 under their parent company Rockwell Trading, LLC which started in 1992 and has over the years transformed itself into a leading stockist and supplier of Carbon Steel (C.S. 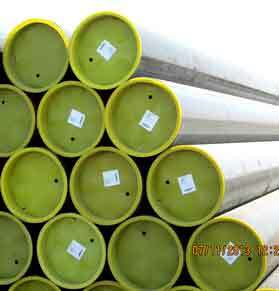 Pipes) Seamless, ERW, SAW Pipes, Fittings and Flanges in the U.A.E. and neighboring Gulf countries. Headquartered in Dubai, Arrow has extensive reach across the GCC with offices in Oman-Arrow Overseas Ltd. & Abu Dhabi-Axiome Pipes and Fittings Trading LLC. As an ISO 9001:2008 Certified company, we follow total Quality Management System adhering to stringent processes to ensure that we supply high quality products at competitive prices. At Arrow, we are fully geared with the requisite technical expertise and quality control mechanism, enabling us to successfully meet our client’s requirement and handling complex and challenging projects. Additionally, our streamlined administration, regular follow-ups with the clients and quick order dispatch has enabled us to win the faith and trust of the clients. Our inventory of carbon steel piping usually exceeds 30000 tons.The size range we stock is 1/8″OD through 48″OD on ground and any given point of time.Our Stock range of Pipes comprises of Seamless, Electric Resistant Welded(ERW) and Longitudinal Submerged Arc Welded (LSAW) in Grade B up to X60. At Arrow, we are constantly looking to improve and to enhance the capabilities of our products as well as expand our existing portfolio in order to retain our leading position and offer our customers world class service and timely delivery of products. We believe that the value is not only in the details of the product being supplied, but also in the Quality Process as well. It is our goal to develop long term client relationships and market alliances and enrich our customers with prompt and efficient customer service.